This design is an adaptation of the Vintage Rabbit pattern by Sara E. Kellner which Sara has graciously allowed me to publish. This pattern does not stand alone. You will need a copy of Sara’s pattern for needles, stitch instructions, materials and assembly instructions. 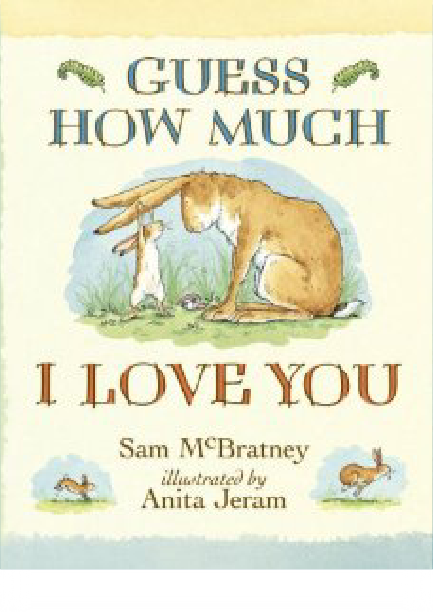 Big and Little Nutbrown Hare are characters in Sam McBratney’s charming book “Guess How Much I Love You”. I created this adaptation so I could give the book and the Hare family to a very special soon-to-be-big brother. 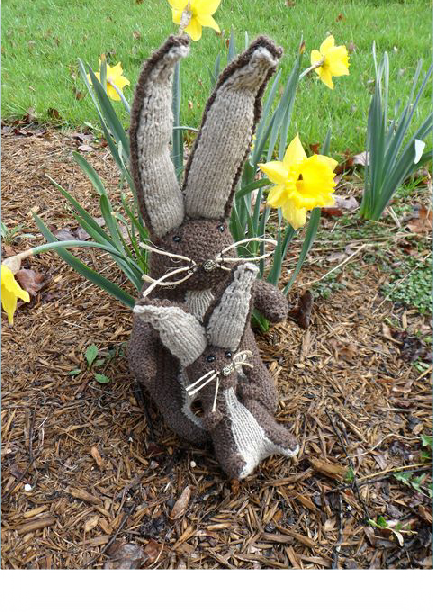 In this version, “Big Nutbrown Hare” is very true to Sara’s pattern. I changed the way the pattern was structured, changed the types and position of decreases and added an inner ear. But beyond that, it’s Sara’s baby. Little Nutbrown Hare is my work—and boy did he turn out to be a cute little guy. Again, though, it could not have been done without Sara’s version as a guide. So Sara, thank you for allowing me to make this available as a stand-alone design on Ravelry. You’re a class act lady!